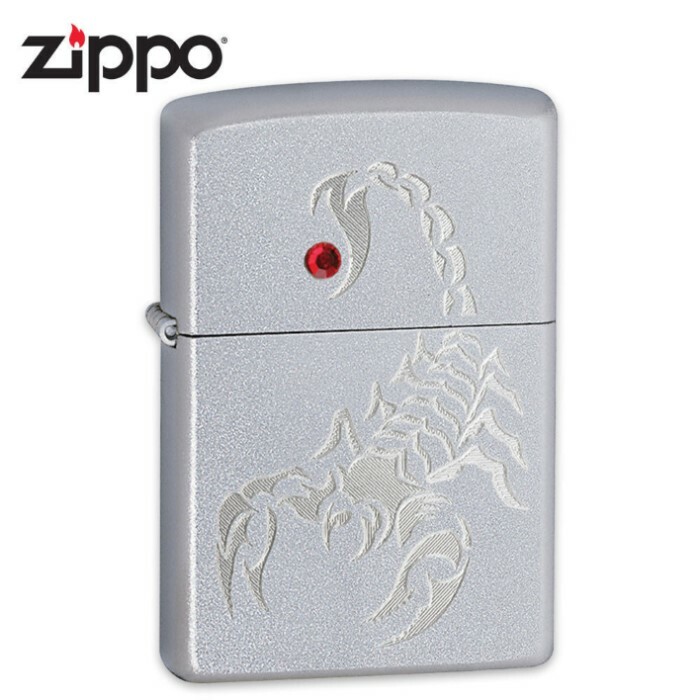 Zippo Silver Scorpion Lighter | BUDK.com - Knives & Swords At The Lowest Prices! This genuine Zippo windproof lighter features a design with a silver scorpion and a red crystal on a satin chrome finish. Zippo, 24479.